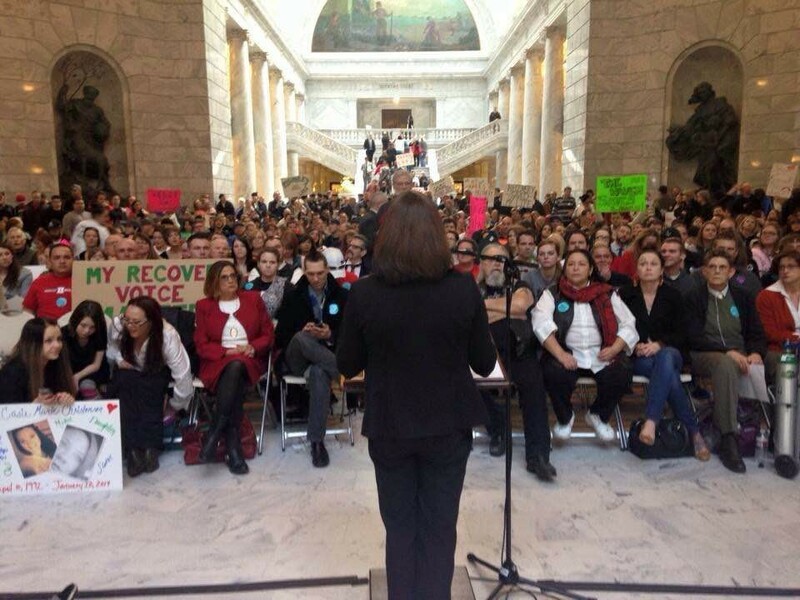 On Tuesday, March 1, 2106, Utah’s mental health and addiction recovery advocacy groups will host the 8th annual rally at Utah’s Capitol, just in time to support the arrival of HCR4 from approval by the House to the Senate floor. Break down those numbers and you find that almost 300 people died from an overdose involving a prescription drug, 162 people died from heroin ODs and 216 people died from alcohol-related issues. Last year, Utah was one of 16 states that received funding from the Center for Disease Control because of epidemic levels of prescription drug overdoses. Images from 2015 Rally for recovery. issues. Participants will walk around the Capitol in silence. 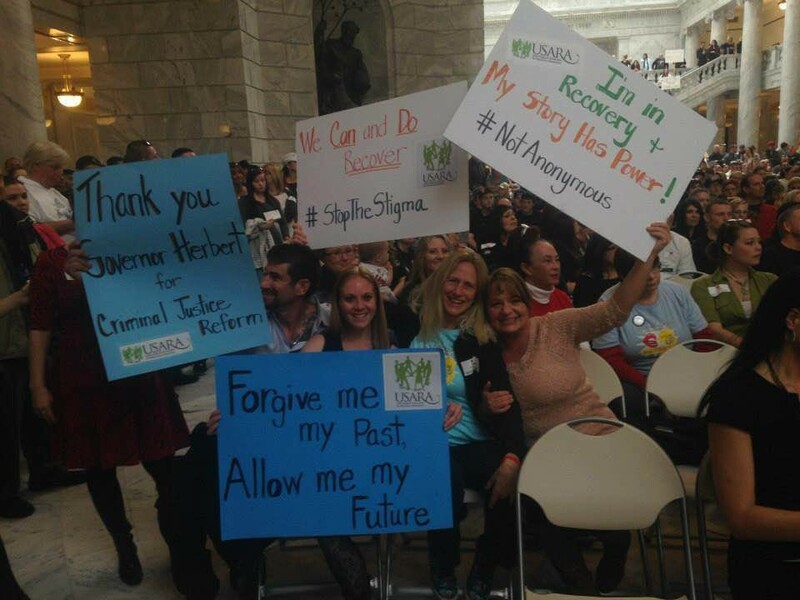 This will be followed at 4:45 p.m. by a rally for recovery in the Capitol rotunda organized by USARA and the National Alliance on Mental Illness – Utah (NAMI). Speakers include recovery delegates and people in recovery from substance use and mental illness, along with politicians, advocates, and Dr. Jennifer Plumb, a dedicated advocate for Naloxone (aka Narcan), a drug which if administered in time can reverse an overdose.